It is said that China’s Anti-Monopoly Bureau of Ministry of Commerce held a meeting with representatives from Micron Technology on 24 May 2018, to express concerns about the continuing price increase for PC DRAM products over the past quarters. The rising prices have made Chinese PC-OEMs struggling under component cost pressure. In addition, Micron had previously interfered with the supplying of upstream equipment to JHICC in contravention to the spirit of fair competition. Samsung, SK Hynix and Micron have gained a total market share of 96% in 1Q18, reflecting the current oligopoly in DRAM market compared with the markets of other semiconductor components. DRAM chipmaker Nanya Technology reported consolidated revenues of NT$8.33 billion (US$279.6 million) for May 2018 which hit a monthly record for the second consecutive month. Nanya's May revenues were up 8.4% on month. The company's cumulative 2018 revenues through May totaled NT$34.8 billion, rising 68.4% on year. Nanya's DRAM bit shipments grew about 5% sequentially in May while ASPs continued their low single-digit growth. The company expects to post a 17-19% sequential increase in bit shipments for the second quarter, while ASPs will register a low single-digit rise. The reason why RAM was cheap before was because there were too many suppliers, and every 3 years or so prices would bottom out and one or more manufacturers would go out of business. Today there are only 3 manufacturers, and demand is really strong, so these companies are finally making some bank instead of worrying about survival. Consider Intel gross margins have always been around 65%. Micron’s today are just now reached 58% and have never been this high. Micron’s average gross margin since the company began is around 20%. Since when is being profitable a crime? Today there is a law firm trying to create a class action lawsuit for anti-trust violations, but recall the DRAM industry went through a DOJ investigation in the early 2000’s on behalf of Michael Dell of Dell computer. It was only AFTER the DOJ found evidence of attempted collusion a successful class action lawsuit was raised. This time is different since there is no DOJ investigation, just some lawyers looking to make a buck. TL;DR Prices are high because demand is strong. Demand is strong because the global economy is strong. Due to the commodity nature of RAM, the factories that produce it already run at maximum output, so it’s not possible to simply ‘make more’. It takes 5 years to build a RAM factory. Expect additional production capacity starting in 2019, but don’t expect prices to fall until 2021, unless demand drops. Seems to be written from manufacturers side. This guys really hold production and hide real production costs. The industry bit supply is expected to continue growing in the next few quarters, as suppliers migrate to newer 1X/1Ynm process technologies DRAM ASPs will likely see flat growth in the fourth quarter after having a marginal increase in the third. DRAM chipmaker Nanya Technology saw its gross margin climb to a record-high 55% in the second quarter of 2018, when consolidated revenues also hit their highest quarterly level in the company's history. Nanya's gross margin climbed 3.2pp sequentially in the second quarter, thanks to a rally in DRAM prices and the company's improved cost structure. The company posted consolidated revenues of NT$24.59 billion in the second quarter, up 30.8% on quarter and hitting a record high. Someone needs to be prosecuted hard. SK Hynix profits grew 75,4 % YoY. Sales grew 55% (mostly because cartel price agreement and smartphones). Profits are at absolute record for all DRAM manufacturers, most of this money they do not plan to invest in manufacturing. The DRAM market is forecast to post sales of US$101.6 billion in 2018, up 39% on year, said IC Insights. If the sales level is achieved, it would mark the first time an individual IC product category has surpassed US$100.0 billion in annual sales, IC Insights indicated. The DRAM market will account for 24% of total IC sales in 2018. Meanwhile, the NAND flash market is expected to achieve the second-largest revenue level with total sales of US$62.6 billion this year. Taken together, the two memory categories are forecast to account for 38% of the total US$428.0 billion IC market in 2018, according to IC Insights. Two largest parts of IC sales are fully rigged markets with cartel agreements. 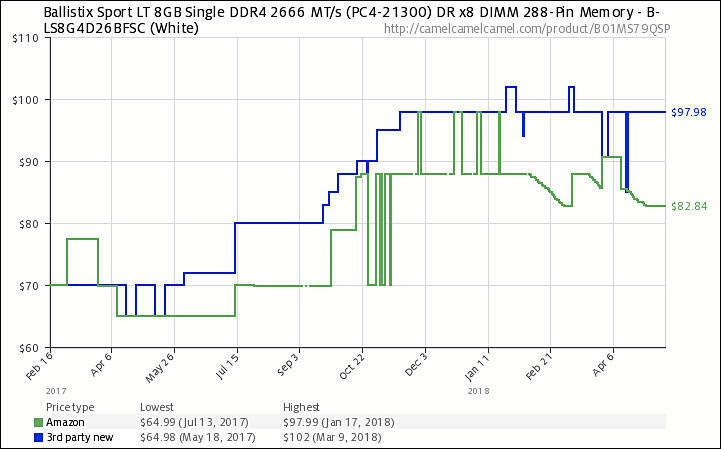 PC DRAM contract prices have stayed unchanged in August, with average prices for 4GB and 8GB DDR4 modules remaining flat at US$34.50 and US$68. PC DRAM contract prices would rise by up to 2% in the third quarter. So, for DRAM cartel things are going very nice. Nanya has reported consolidated revenues of NT$8.23 billion (US$267.6 million) for July 2018, up 89.2% on year and 0.9% sequentially. Consolidated sales for July and August amounted to nearly NT$16.4 billion. 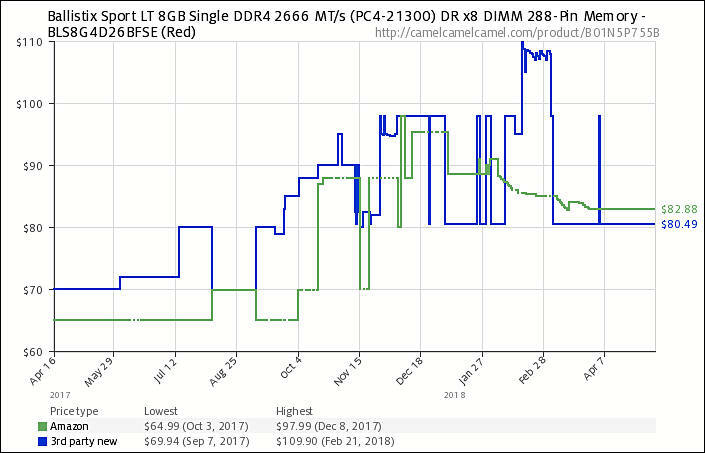 DRAM contract prices have also shown signs of falling. The memory contract prices are expected to start falling in the fourth quarter as the market becomes oversupplied. DRAM contract prices are forecast to fall 5% sequentially in the fourth quarter of 2018, according to DRAMeXchange, which estimated previously a smaller 1-3% drop. Demand growth has been "limited" while DRAM bit supply continues to grow, said the price tracker. The DRAM market will remain oversupplied in 2019 with the memory ASP to drop by 15-20% on year, according to DRAMeXchange. The industry will see its overall bit output increase by nearly 22% in 2019, thanks largely to mature 1X/1Ynm process production yields, it said. DRAM and NAND flash memory prices will continue their downward trend for at least another year, according to Peter Shu, chairman for memory module firm Transcend Information. Both DRAM and NAND flash sectors have encountered oversupply, said Shu, adding that the memory prices still have room to fall further in the coming year or longer. DRAMeXchange revised again its DRAM ASP outlook for the fourth quarter. ASPs are now expected to fall by up to 10% sequentially in the fourth quarter compared with the about 5% decrease estimated previously. The memory price tracker originally predicted DRAM ASPs would slip 1-3% in the fourth quarter after registering an over 3% decrease in the third. Nanya reported consolidated revenues declined nearly 20% sequentially to NT$5.4 billion (US$175.6 million) in November, due to falling shipments and ASPs. The results were also the lowest levels in 13 months. DRAM memory prices are likely to fall 30-35% on year due mainly to supply-side factors, the sources noted. Combined production capacity at DRAM chipmakers are set to see 10-15% growth annually over the next two years.